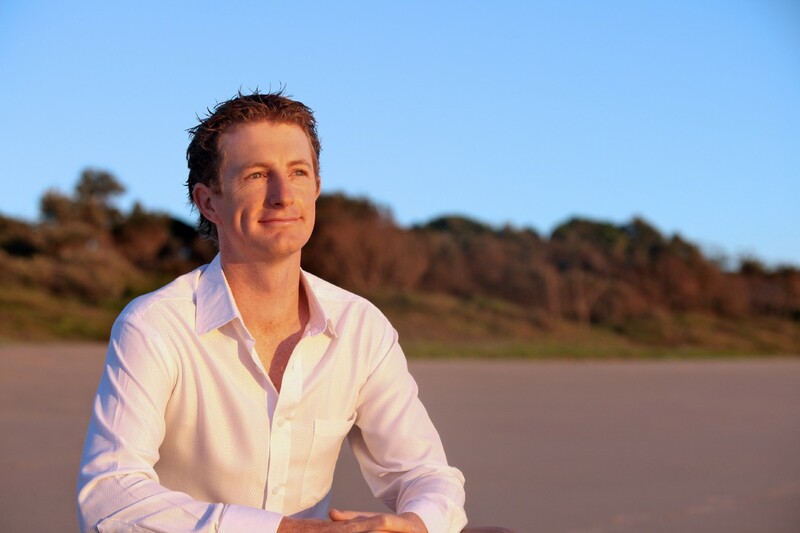 Michael Crossland is an ordinary aussie that has faced his fair share of adversities. Being diagnosed with an incurable cancer of the central nervous system before his first birthday and spending over ¼ of his life in hospital, doctors told him school and sport were not options. Infection and fatigue were too great a risk, reaching his teenage years would be a miracle. His only wish was to lead a normal life and be able to do all the things that other kids took for granted every day. But he did have a dream and the undying determination to achieve what people told him would be impossible… No matter the size of the obstacles that continue to lay ahead he has never given up. Sure it has not been easy, suffering his first heart attack at 12 and being told he’d never play sports again but he continued to fight and believe that he could. Now, he has represented his country playing baseball in the states, had an amazing career in the corporate space, he is the National Ambassador for 5 different charities, Australian of the Year finalist, Australia Day Ambassador for 7 consecutive years and was lucky enough to be inducted into the international baseball hall of fame in California. Within the last six years he has gone from being one of the youngest State Sales Development Managers for one of the largest companies in the world, to running five banks then leaving his finance career to follow his dreams in making a global impact by sharing his journey with the world. He has now committed his life to giving back to others in making the world a better place, he now runs a school and orphanage in Haiti and have spoken to more than 500,000 people a year around the globe. 2016 saw him on 152 flights speaking at nearly 100 conferences across 12 countries. I think that sometimes you need to hit rock bottom before you get yourself in the right mindset to shift your outlook, get a healthy load of perspective and start to prioritise what is important in life. I had to believe in myself and understand that there was a bigger purpose for me on this earth than striving to earn money. So I started at the bottom and continue to try to work smart every day to reach the top. From small beginnings speaking in front of 50 people at local chamber events to now speaking at events with more than 10,000 people. I will never forget where I came from and will also never forget the one person that believed in me and never left my side and that is my beautiful wife. She is my rock and the person that pushes me to keep fighting when times get tough. No doubt my number 1 inspiration however is my mum. The courage and determination that she has instilled in me is something that I could never repay. Being told I had 4 more tumours in my throat last year and told that things didn’t look good. These two ladies were incredible and helped me to continue to fight. God gives his greatest challenges to his toughest soldiers and these two are awesome soldiers. Never speak to earn money, only ever speak to make a difference and if money is an outcome of making a difference then I would be doing it for the right reason. Never say no to an opportunity to change someone’s life regardless of how small the event is. It’s not what you get back it’s about the lives you may touch. Success to me for a long time was how much money I earnt, how big the house was or how fancy the car was. I thought that success was to be financially free however I made more money than I could spend and was missing the most important part about life… not having money but rather having happiness. Success is about waking up every day and knowing in your heart that today you will make a difference to someone else’s life. It’s not the size of your house that matters, it’s the size of your heart! Many people in life use their adversities as an excuse to fail however I like to use my adversities as the motivation to succeed. Tell me what I can’t do and I’ll show you that I can. Every time you get knocked down you have to make the decision to get back up and the more times you get knocked the more times you need to ask yourself “do I really want this”. The sacrifice, pain and suffering that you endure when striving for your dreams is nothing compared to the joy you receive when achieving that millstone. Every day is an opportunity to make the world a better place and even if you can’t change the world, do your best to change one person’s world. I strive every day to do something that my future self will be proud of! If you enjoyed this story, hit the heart button to drive in more people to read about Michael’s amazing story.